Review:I’m not necessarily proud to admit this, but I have an unusual tolerance for laidback dude-bro comedy. I enjoy likable casts having fun by childishly tormenting each other; it’s a nice antidote to all the serious, high-minded criticism that I have to pretend to do to stop this publication from losing any legitimacy it might have. 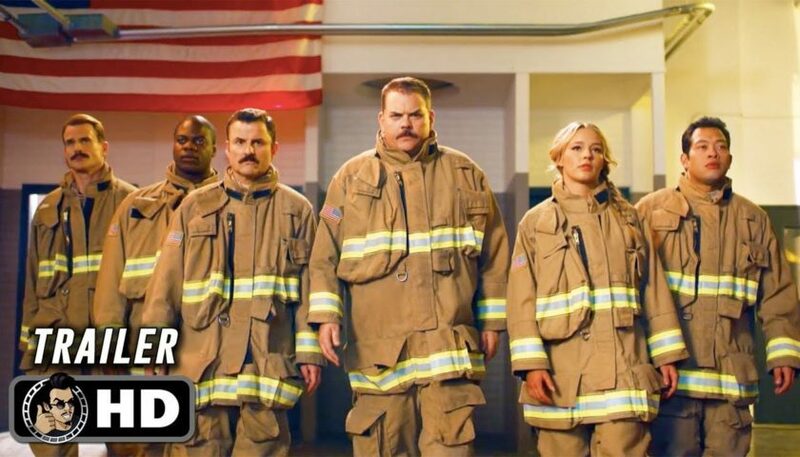 And Tacoma FD, Kevin Heffernan and Steve Lemme’s new knockabout truTV show about middle-aged professional men behaving like idiot boys, is basically that kind of comedy and nothing else. And I like it. Perhaps I shouldn’t. But the show’s supremely uncomplicated premise and appeal are a welcome respite from television that tries to do and be about too much. In Tacoma, Washington, the rainiest city in America, the local firehouse has nothing to do besides sit around and pass the time — something that Tacoma FD is able to do remarkably well. And they pass the time by pulling pranks, cracking jokes, and basically acting just how the cast of Super Troopers might if they were transplanted into a different profession. Heffernan and Lemme’s names on the billing are not, after all, a coincidence. Heffernan plays Chief Terry McConky, and Lemme Captain Eddie Penisi, sharing easygoing chemistry and apparently a mustache, while the main cast is rounded out by Gabriel Hogan, Marcus Henderson, and Eugene Cordero, all basically playing the same character but with a slightly different personality quirk. The pilot episode sees the Chief trying to keep everyone on their best behavior for an upcoming inspection, with predictably slapstick results. That idea of the Chief trying to do a chiefly thing but not really wanting to is pretty central to the entire identity of Tacoma FD, which just wants to muck around and have a laugh without ever really being about anything. And I can respect that. There are lots of shows with heavy themes and keen insight and complex plotting, and while I’m not saying we don’t need another, I’m not saying we don’t not need another either. Tacoma FD is charming, juvenile and enjoyable, without really wanting or needing to be anything else. Might as well meet it halfway.